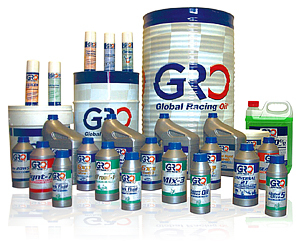 Global Racing Oil’s introduction into the Australian market place could be considered to be in its infantile state buts its accepted presence around the globe has had an impact on those looking for or demanding high quality lubricants. This acceptance extends from those at the top of their game in Motorcycle and Auto racing, Marine, Industrial, Agricultural, Commercial, Heavy Industry and general commuters alike. One of the main reasons for this is the 100% European crude base oil is processed and blended by its mother company Cogelsa, who is heading towards 100 years of operation. Cogelsa is one of Europe most trusted lubricant producer’s with many name brand oils having their development, manufacture and packaging looked after by this historic lubrication specialist. The trust that has been forged by the Cogelsa research and development department has seen GRO being implemented into the factory assembly lines and race teams of GAS GAS motorcycles and Metrakit motorcycle developments. The multiple world titles in Trials and Enduro have helped pave the way for other brands and race teams to put their trust in the GRO range of lubricants to protect their valuable investments under the most extreme conditions.